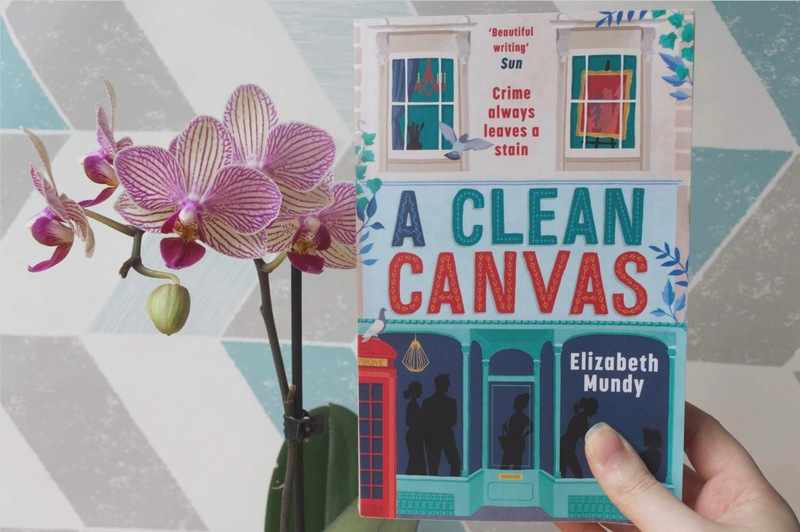 Book Review: A Clean Canvas by Elizabeth Mundy! It's been a while since I read a really good cosy crime novel so when the opportunity to be on the blog tour for A Clean Canvas* came up, I jumped at it. And I'm so glad I did because this was a blast. So much so that I've asked my local library to get in the first book because I really want more of Lena and her investigations. Lena Szarka, a Hungarian cleaner, dusts off her detective skills when a masterpiece is stolen from a gallery she cleans with her cousin Sarika. But when Sarika goes missing too, accusations start to fly. Convinced her cousin is innocent, Lena sweeps her way through the secrets of the London art scene. With the evidence mounting against Sarika and the police on her trail, Lena needs to track down the missing painting if she is to clear her cousin. Embroiling herself in the sketchy world of thwarted talents, unpaid debts and elegant fraudsters, Lena finds that there's more to this gallery than meets the eye. A Clean Canvas is the second book in the Lena Szarka mysteries with a Hungarian cleaner solves crimes in London, and if that doesn't appeal to you then I don't know what will. There's something about reading about cleaning and a main character who genuinely enjoys it that just inspired me to do a bit around the house. I even found myself running a wet rag over the skirting boards! I've read a cosy crime series about a cleaner before (the Lily Bard series by Charlaine Harris) and this was so much more realistic to me. I'll admit, even with a good many detective books on my shelves, I didn't see who the thief was until the very end. I had many theories along with Lena and it felt like we explored them together rather than being led down a path then told it was a dead end. There were twists and turns and lots of intersections with other life events crossing over our main storyline. It's a great example of cosy crime and why I tend to reach for it more than other styles of crime books. I liked that even in a light-hearted read, there was still a fair bit of social commentary on how the middle-classes treat people who work for them, especially immigrants. When something is stolen, it seems like everyone's first thought is Lena and her cousin. When things go missing from a clients house, the suspitions are immediately aimed at Lena. It was interesting to see that addressed and not treated as a joke. The only thing that didn't work for me was the portrayal of OCD. I felt it came across as quite stereotypical, like a caricature of a person with OCD. However, at 280 pages, I imagine it would be quite difficult to dive into it. The rest of the book was so wonderfully diverse that it really was the only blip. You can find A Clean Canvas here, and the first book in the series; In Strangers' Houses here! "Coffee is terrible everywhere in this country... But at least it is not tea." Do you like cosy crime? While this is a spoiler-free review for book four, it might contain spoilers for book one, book two and book three so beware! A generation ago, Constantine Madden came close to achieving what no magician had ever achieved: the ability to bring back the dead. He didn't succeed... but he did find a way to keep himself alive, inside a young child named Callum Hunt. Now Call is one of the most feared and reviled students in the history of the Magisterium, thought to be responsible for a devastating death and an ever-present threat of war. As a result, Call has been imprisoned and interrogated. Everyone wants to know what Constantine was up to- and how he lives on. But Call has no idea. It is only when he's broken out of prison that the full potential of Constantine's plan is suddenly in his hands... and he must decide what to do with his power. I've been a fan of this series from the word Go. I think it's one of, if not the best middle-grade fantasy series and I even re-read the first four books which is pretty unusual for me! Plus, as this was my second read of this book, I've started picking up on the little things Holly Black and Cassandra Clare have added as foreshadowing and it just showed how cleverly written they are. I love the character development that's happening book-to-book. The kids are kids but they're slowly growing up at a reasonable rate, and it's just such a realistic timeline. There's no jumps to suddenly being a grown-up, like some other books I've read. I've mentioned in previous reviews that the Jasper/Callum friendship is a treat and it continues to be great, they're kids being kids! "You're the only one I can talk to, Call," said Jasper. "You mean because I'm chained to this floor and can't get away?" I really appreciated the addition of queer representation in this book as well. An established character told the story of falling in love and it wasn't a big thing. It was just a man loving a man and it was so normalised. More of this, please. Although, I still wish there were a few more female characters. It's really the only thing that lets down the series for me, but we're talking two female to five or six male characters and I really hoped in my review of the third book that this would even out. It hasn't, which is a bit disappointing. Since starting, I've always been waiting for these books to go full Harry Potter dark on me, but I'm pleased to say that they haven't. They keep up their overall optimism and I love them for it. They even balance out the sadness with some comedy which made me laugh out loud. What's your favourite middle-grade series? 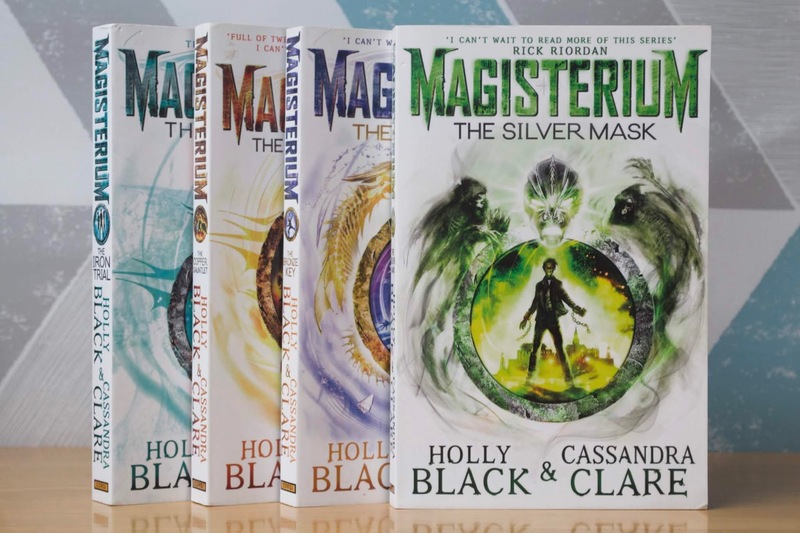 Have you read the Magisterium books? My 30 before 30 List!